Our men are being attacked at every corner of their lives today. When you are constantly being bombarded with negative, doubt and failure it can really take a toll on your self-image. Our husband’s are no different. Just because they are strong and are supposed to be leaders, doesn’t mean they can handle the pressure and negativity of their self-images being hurt everyday by everyone around them. Who is giving them a bad self image? It could have been anyone in their lives, from early childhood to the adult people around them today. Including their parents, siblings, other relatives, wife, employees, bosses or community members. 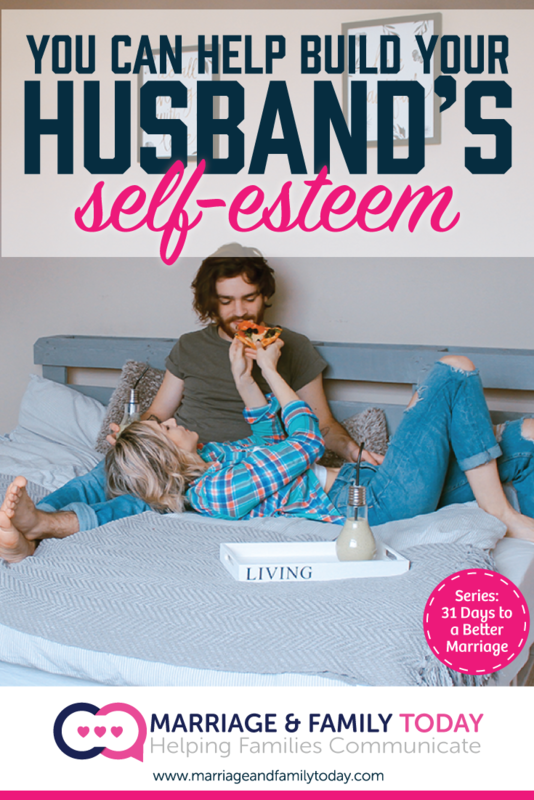 If the poor-self image was created as a child and nothing has ever been done to reverse those feelings and self doubts, then your husband will continue to carry that with him the rest of his life. Carrying around a low self-image or self-esteem can and will affect everything he does. From being a husband, father, employee and more. Most of our decisions and life-paths are determined somewhat by our self-esteem. Self esteem affects: behavior, relationships, performance. When our self-esteem is good, we make good life choices and are a bit braver about trying out new things, taking new adventures, trying to achieve our goals and work on being a better person. When our self-esteem is lousy, our life choices usually are too. We hem-and-haw about what to do next. We wonder if we are really doing the right thing. We don’t take chances and accept the way we are as just the way it is. We tend to be negative and treat those around us negative as well, whether we realize it or not. We rarely move on and stay stuck where we have always been. Raising and creating a healthy family is hard enough when everything is good. When everyone is sure of theirselves and was raised in an excellent setting where they were encouraged, loved and cheered on. Now take the opposite, a bad childhood environment, a negative high school experience, family members that constantly put you down and try to make your family life work. It can become next to impossible and something not even worth working on. Your husband needs your help! He needs you to become his cheerleader and encourager. You might be the only one in his life to ever be that person! He needs your kind eye and listening ear to help affirm him when he is ok and encourage him when he is down. Childhood Abuse: He had abuse during childhood; neglect, parental ignorance, or overbearing authority in parents. Fear of Being Open: He fears opening up, being real. Afraid of being vulnerable. Worried about what others will think when he lets his guard down. Easily Discouraged: He gets discouraged easily and often. When something doesn’t work out his way or someone mentions the slightest negativity towards what he trying to do, he becomes discouraged and quits. Lack of Confidence: Lack of confidence in making decisions or just being who he is. Needs to Be Right: Difficulty admitting he’s wrong. Always needs to be right. Unable to forgive. Driven: He is a driven person and doesn’t know when to stop. Often a workaholic. One major focus until that task/project is complete, leaving anything else aside and often forgotten. Critical of Others: Critical of others in anything they do, say or feel. Does this to help him feel better about his poor self-image. Often does it without realizing it. Perfectionist: He is a perfectionist in everything. It’s a way to cope to be in control of something in his life. But can be a problem when it negatively affects the rest of the family. Self Critical: More critical of self than others. Very down on who he is or the decisions he makes. Thinks everything he touches is ruined. Escapes Life: Indulges in escapism. State of denial – may be using alcohol or drugs or video games to cope. Living in a fantasy world. Keep in mind you can’t change what happened in the past. And you can’t be critical of his past, only understanding. He most likely doesn’t know how to deal with his past, that’s why he is struggling so. You can only help to build him up from here. You need to be his encourager. To lift him up when he is down. No, you are not meant to fix him and sometimes he may be beyond the help you are able to provide. In that case, professional help and counseling is advised. You may have to encourage him to seek help instead of just trying to only be his encourager. When he does allow you to help him seek help, be there for him every step of the way. Encouraging his desire to get help and being by his side as he goes through counseling. He needs you! Unconditional acceptance, no matter what. Help to put the past into perspective and find hope in his imperfect past. Speak positive into his life. Let him know how much he means to you. How great he is for you. Building him up in difficult times. No rejection, no matter what. Allowing him to fail, again and again. It’s not for you to tell him he failed or he is a failure. Just lift him up when he falls! Do what is right. Make right decisions together. Decisions that will build and not tear down. Help him make friends. He may not feel confident or comfortable making friends. Help him to meet people. Discover significance as you work together in your lives and for your future. You’re investing in a man, creating a heritage that you can leave behind. Change his future. Break old curses.